AirMarCare has more than 8 years of experience in Aviation and Marine detailing Services in Cyprus. We know how to proceed from start to finish to get maximum results on your aircraft and yacht. AirMarCare uses only approved products to get high and safe results, without damaging your investments. AirMarCare is also certified by Ceramic Pro for Aviation and Marine surface protection systems which enable us to give your investment, a high protection that lasts for years which means saving costs in maintenance fees. In addition, we use NanoTech Polish Protection for paint, and Dulon 1&2 paint protection for yachts. Our base for aviation detailing services is located at Paphos International Airport, in EDT's hangar services. 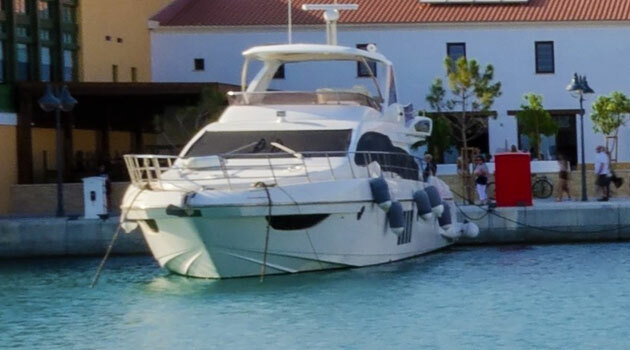 We can provide our marine detailing services at any marine port all over Cyprus.